A physical activity finder promoting specialist services for older adults, disabilities & long-term health conditions. Regular physical activity is important for everyone, however for those with a disability, long-term health condition or older adults in general, it is just as important that the activity is safe and adapted to their individual needs. Finding a professional or class that is suitable for your health or mobility level often prevents many individuals from accessing physical activity. Additionally, it is not always easy to connect with others in your local area who may share similar challenges in accessing local activity. As a social enterprise, our mission is to enable our target market to improve their physical and mental wellbeing by providing access to specialist physical activity services. There has previously been no comprehensive resource tailored for and focused on specialist physical activity services and information for these groups of people. Our product offers exactly this and all of the features are specifically geared towards our target market. Our product not only allows users to search for activity by service type and location, but importantly the user can search specifically by experience working with different disabilities, long-term conditions or older adults in general. We only promote services qualified and experienced to work with this target market, and also include detailed information about individual professionals, such as personal trainers or a massage therapists, for one-to-one support too. The product is fully developed and available as a web application - we are already promoting over 600 specialist activities for our target client groups. 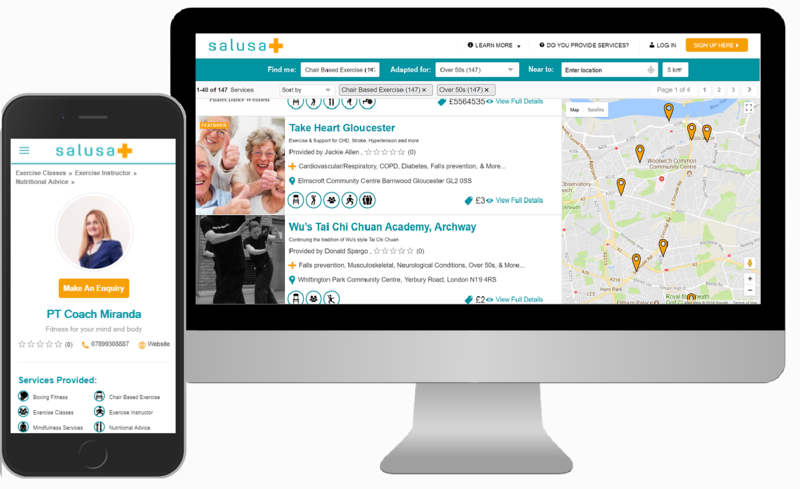 Users are shown detailed information about these specialist services in their local area including qualifications, location, date, time, cost and the health/disability experience. Please click here to see the platform in action. We are offering our product either as a white label option that can be fully re-branded, or as a service that can be delivered in close partnership with organisations that share our social purpose. Notable additional features we have already developed include a community social network to the site complete with profiles, forums and social groups. This feature not only encourages peer interaction amongst our users but also provides the important function for user reviews and ratings of services they have accessed. We have also implemented an events platform to promote anything from community days to industry conferences, and professionals using our resource can also contribute expert articles which we are building into an information hub. We plan to implement further features based upon the requirements of our partner organisations. For example, this may include verifying the data about services and individuals by checking qualifications, insurance and registration with professional bodies. We can also implement direct booking and payment of services through the application. This product is aimed at any organisations that has a considerable ability to engage people with a long term health condition, disability or older adults in general. The organisation will also share our mission to enable these groups to improve their physical and mental wellbeing by accessing specialist physical activity. The type of organisation may be within the public sector such as local authorities, public health or NHS bodies, but may also include other organisations such as large disability charities with a shared purpose. We are now looking to partner with one or more of the organisations mentioned above to realise the potential of open data and specialist physical activity for our target groups of people. Working together in the partnership with Open Active and Imin, we are offering to engage specialist physical activity providers to open up their data and then to validate this data based upon the specific requirements of our partner. At a minimum, this would be ensuring the consistency and validity of service types and suitability, e.g for over 50’s, but can also be developed further to provide assurance on professional’s experience and qualifications. Additionally, we are interested to explore innovative outcome data collection through the resource. Service activity data is currently directly provided by each organisation or professional through our website. We now plan to expand our data set to include opportunity data from Imin to increase our reach. Service provider data is created and stored within our servers, together with user data for individuals who create an account on our website. With the social network element, data includes personal information together with group and forum activity. We have the opportunity to create participation data with direct bookings through the site, and will be looking into outcomes data collection through our resource also. Our team has a background in Health and Social Care Commissioning and the initiative has developed from work for the NHS in Islington setting up Personal Health Budgets (PHBs). Facing an issue where patients did not know how to access specialist physical activity or therapy services in the community, we programmed this resource to make the information available to everyone, everywhere. We already link in with the NHS Islington pathway for PHBs, and will be engaging with health and social care pathways for personalisation, social prescribing, community rehabilitation and exercise referral across London to provide user access to our resource. “From my point of view, a resource like this will be invaluable because finding suitable exercise groups is usually a matter of serendipity—coming across a leaflet or poster on a noticeboard, or hearing about it from someone else.” London resident living with MS.
We are now working closely with Open Active to open up more specialist physical activity data within the market by targeting large activity providers. This will extend on work already carried out by our team to promote activity data from organisations such as Move It Or Lose It that specifically work with older adults. We are social enterprise committed to our purpose of getting more people with a long term health condition, disability or older adults physically active. We offer the technical solution to promote suitable specialist activity services and have the skills and experience to engage providers, users and health professionals to make this initiative a success. Our mission is to enable people with a long-term health condition, disability or older adults to improve their physical and mental wellbeing by providing access to specialist physical activity and health therapy services. 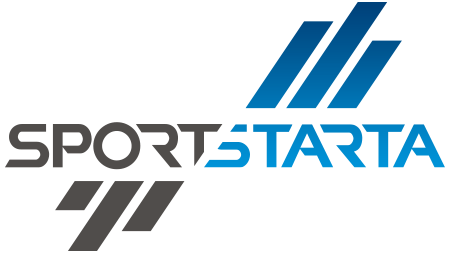 Sportywe is a mobile application that connects the users with sports activities. Physical activity booking web app. We're an activity hosting, matching & peer-to-peer payments platform with embedded social discovery.